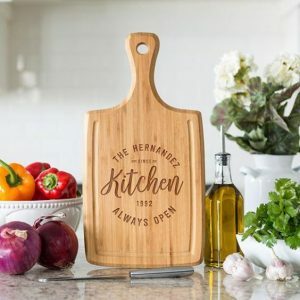 Love this , Personalized Large Handled Cutting Board for just $19.99 !!! reg price $50 !!! Our ” Personalized Handled Cutting boards with Juice Grooves” are absolutely stunning. Each cutting board has a hole drilled through the end of the handle perfect for hanging in any location! In addition, each board includes a juice groove on both the front and back for added beauty and convenience. Love Food T-Shirts are $13.99 !!! reg price $28 !!! Monogram Character Adult Tees for $13.99 !!! reg price $28 !!! Zwipes 1015303 Microfiber Cleaning Cloths | All-Purpose | Assorted Colors | 36 Pack for $17.41 !!! reg price $40 !! !